At last summer is on its way and we can enjoy spending more time outdoors. In this issue we’ve got plenty of great ideas for places to visit and things to see right across the UK. If you’re in the South West, why not buckle up your swash and head to this year’s Brixham Pirate Festival which takes place over the May bank holiday weekend (p.106)? Venture eastwards into East Anglia and you’ll discover the beautiful, sleepy county of Suffolk with its fabulous coastline. 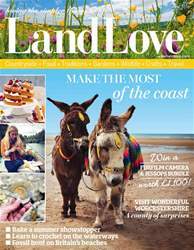 Its laid-back loveliness makes Suffolk the perfect spot for a relaxing weekend break (p.116). If you head to Worcestershire during May and June you can join in the fun that surrounds British asparagus season, from cookery demonstrations to family fun days, morris dancing to music festivals, there’s plenty to keep you entertained during the British Asparagus Festival (p.110). However, if you’re planning on staying closer to home, we’ve got lots of ideas to keep you busy. Try filling your garden with the sweet scent of honeysuckle (p.28) or adding a dainty splash of colour with forget-me-nots (p.14). 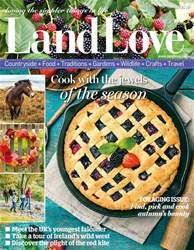 Head out to the hedgerows and gather some elderflowers and try your hand at our delicious recipe ideas that capture the flavour of summer (p.44). If you’re feeling crafty why not have a go at our simple willow weaving projects (p.78)? 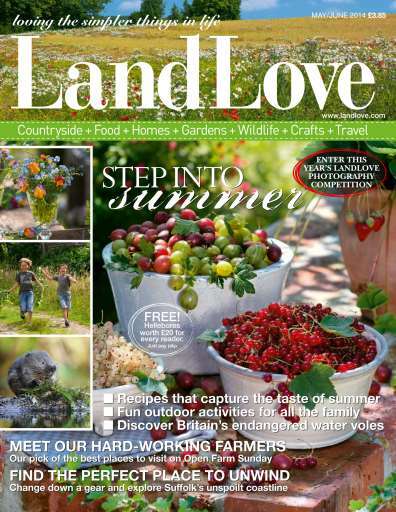 And stop the kids from feeling bored over half term by getting them to try making our fun waterwheel project (p.68). 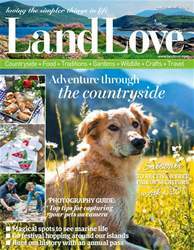 Finally, make sure you take your camera with you when you’re out and about over the coming weeks and enter your photos of Britain’s countryside into this year’s LandLove 2014 photographic competition (p.98). There are 12 categories to enter with some fantastic prizes for the winners and your photo could feature in our 2015 calendar!